The scoreboard at Farmington Hills Harrison High School. FARMINGTON HILLS, Mich. - Very few can imagine the end is actually near. Not the community that has identified so much with the program; not those who follow high school football around the country; not the former college and NFL players who have played there; and last but not certainly least, not the coach who, for 50 years, has built and presided over this factory that has churned out wins, championships and elite players. 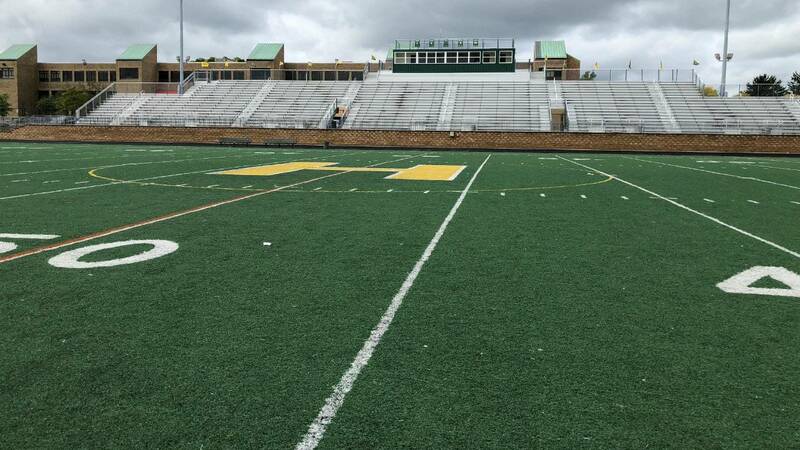 What will the world look like without the Farmington Hills Harrison football program? We'll soon have an answer to that question, because the program won’t exist in a couple months. For many, this fall isn’t necessarily about rooting for Harrison to win, but knowing it feels like a beloved family member is in a hospital bed, living out the final days with no cure or medicine in sight to help. It feels like a slow death that is having its every move documented. A video crew follows the team around daily as it prepares a documentary on the final season, which it hopes to sell to Netflix or another media provider. Local newspapers are following the team weekly and doing articles on past great players and last events for the program, such as the final homecoming game that took place in September. Nobody knows when the exact end will be, but the fact that the end is inevitable has many asking a simple question: Why? John Herrington sits in his coaching office on a crisp fall day in Farmington Hills and does his best to worry about the upcoming day’s practice regimen. Despite a limited number of players on the roster, Harrison is enjoying a 5-3 start to the year, and the team likely will beat Farmington on Friday, which would automatically qualify Harrison to the state playoffs that start next week. Even if Farmington pulls off the upset, Harrison has a good chance of earning an at-large playoff berth at 5-4. But as has been the case for the past two years, the elephant in the room is impossible to ignore and one Herrington thinks about every day: the end of an era. Many feel the school long ago should have changed its name to "Farmington Hills Herrington," and for good reason. Herrington and the football program have been the face of the school for nearly five decades. The team has won 13 state championships, the most of any program in the history of high school football in Michigan. Current NFL players Devin Funchess and Drew Stanton played there, as did Aaron Burbridge, who was waived by San Francisco before the start of the season. Former Michigan State and NFL standouts John Miller and Mill Coleman also starred at Harrison. Khalid Kareem, a starting defensive end for Notre Dame, played at Harrison, and each year, the program seems to have multiple players who are committed to Division I college programs. Last year, Herrington became the all-time winningest coach in state history, surpassing another legendary figure and coach of numerous college and NFL players, Al Fracassa of Birmingham Brother Rice. That was no small feat, given Fracassa coached into his 80s and had a career that spanned 54 years. Herrington is the only coach the school has ever known since Harrison opened in 1970, and he also was a social studies teacher and baseball coach before retiring from those posts. He entered this week with a career record of 440-110-1. With all those achievements and his impact on the lives of countless young men, you would think Herrington and the football program would be worth about a billion dollars for what they have meant to the school district, high school football, alumni and community members. As it turns out, though, it wasn’t even worth $1.5 million. In the summer of 2015, amid declining enrollment and financial losses, the school district enlisted a consulting firm, Plante Moran, to assess the financial picture and make recommendations for how to fix it. The recommendation came back to close six schools, including Harrison High School. Herrington was at the board meeting when the firm recommended the measure, which led to obvious shock and a double-take. Harrison is one of three high schools in the district, along with North Farmington and Farmington, and it is the newer of the three buildings. But because Harrison had the lowest enrollment of the high schools and closing it would save a reported $1.5 million, Harrison was a school recommended to go on the chopping block. There were people who did their best to stop the closing, most notably, Herrington. He spoke at four town hall meetings and attended more school board meetings in an effort to convey what Harrison has meant to the community. Other community members showed up to the meetings to voice their displeasure and ask how a football program that has brought so much joy to the area could be shut down. Ultimately, none of the pleading mattered. The board made the closure official in March 2016 -- the school would close following the 2018-19 school year, starting the slow funeral procession for not only the school, but the famed football program that has become most associated with it. 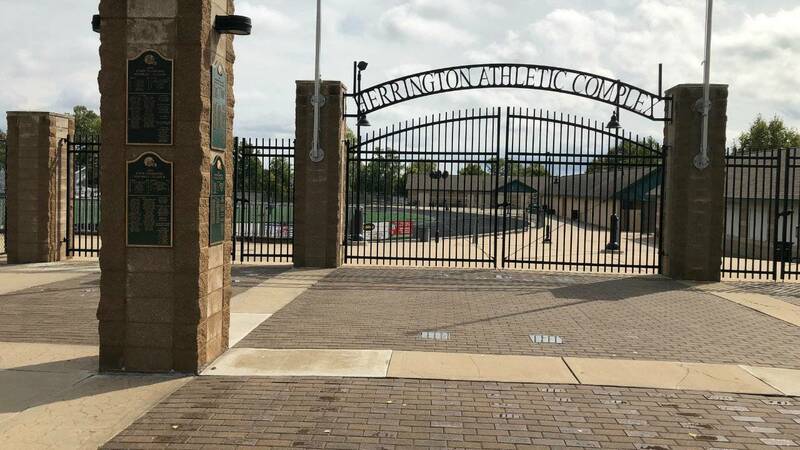 Cordially and with a laugh, Herrington, who has the athletic complex that surrounds the football field named after him, said he is sick and tired of people asking him what he’s going to do when the football team plays its last game. He said he is done being a head coach, but hopes to still be involved in football in some sort of consulting or planning role. Herrington, 77, and everyone else around the state obviously want Harrison to go out on top by winning another state championship, but it depends on where Harrison is placed in the state playoffs. 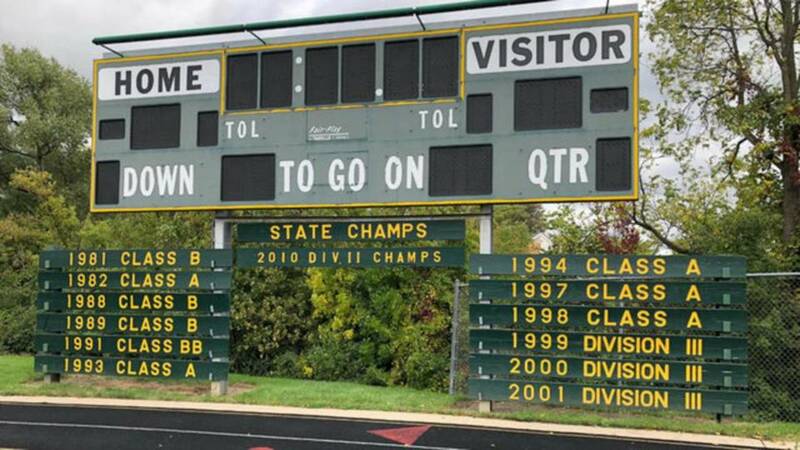 There are eight divisions that crown state football champions based on enrollment, with Harrison winning the Division 2 title in 2010 and advancing to the Division 3 final last season. If Harrison is in Division 3 this year, it probably won’t win a title since the state’s consensus best team regardless of division, Muskegon, will likely be in Division 3 again (Muskegon beat Harrison in last year’s final). But with lower enrollment due to this being the school’s final year, it’s possible Harrison will end up in Division 4 or Division 5, which might make it the title favorite in either classification. There is a group of non-seniors on the roster who decided to stick it out until the end, but they will have to find new schools to attend and programs to play at next year. While Herrington doesn’t know what he’ll do after the closure, there has been a future lined up for the building. The school board in March agreed to sell Harrison for $500,000 to the city of Farmington Hills, which will turn the building into a community recreation and fine arts facility following a $20 million renovation project. The football program will be gone, but at least there will be visible memories still around. The stadium will still exist, the banners will remain in the newly renovated community center gym, and Herrington said the city is looking into a way to put all of the pictures of all-state players on a touchscreen so people passing through the lobby can view them and relive the glory days of Harrison. It’s almost as if it will be a de facto museum. But while being able to relive the past, not looking forward to a future for Harrison football beyond this year will be hard for anyone to imagine.